Meet the BBC. No, not that BBC, the British Broadcasting Corporation. 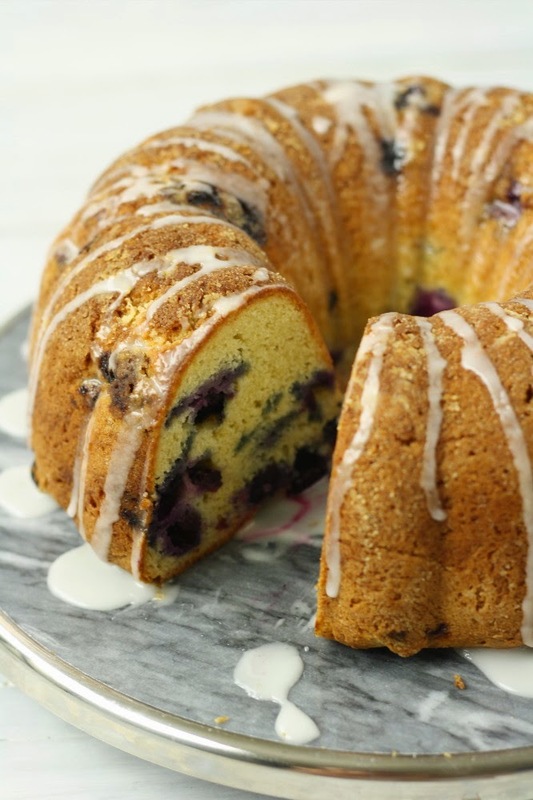 I’m talking about this blueberry bundt cake. You know, the other BBC. We may have bucked the season with last week’s recipe for caramel apples, but this week we’re diving back into seasonally inspired recipes. We’re at the outset of summer, when blueberries are on their way to their peak. This past weekend our neighbors hosted a summer kickoff barbeque. Most guests brought a dish to contribute. We made a large batch of this delicious vinegar slaw. Someone else brought a bundt cake. It was of the “standard” gluten variety, and so off limits. But that’s never stopped us from running home (in this case, literally around the block) to make our own gluten-free version. 1. Grease a 10-inch bundt pan. Preheat the oven to 350 deg F.
2. Combine the flour, baking powder, baking soda, salt, and xanthan gum in a bowl. Mix to combine and set aside. 3. In the bowl of an electric mixer, cream together the butter and sugar until fluffy. 4. Add the eggs, one at a time, mixing to incorporate after each addition. 5. Scrape down the sides of the bowl. Add the vanilla, sour cream, lemon zest, and lemon juice. Mix to combine. 6. Scrape down the sides of the bowl again. Add the dry ingredients. Mix on medium-low until just combined, about 10 seconds. Then, mix at high speed for 5 seconds. 8. Spread in the pan and use a spatula dipped in water to smooth the top surface of the cake. 9. Bake for 50 minutes, until a toothpick inserted in the center comes out clean. 10. Cool completely in the pan. Flip out when cool. 11. To make the glaze: mix together the powdered sugar and lemon juice in a small bowl. 12. Drizzle the cooled cake with the glaze. This recipe is: gluten/wheat-free, peanut-free, tree-nut-free, soy-free, fish-free, shellfish-free, vegetarian. Thanks Alison! We hope you enjoy it as much as we did. This is going to put in an appearance at my co-op’s morning coffee drop-in. It’ll be a change from scones all the time, and if I can’t be skinny, at least my friends won’t be, either! Carol – You made me laugh out loud!! Skinny is a relative term and as long as you have a dose of moderation, enjoying treats makes life more fun! Ahhhhhh…. just what the doctor ordered! This looks as close to my favorite cake as anything GF that I have seen. And worth turning on the oven on a very warm day. Thank you, thank you! Gramashadowcat – We hope it lives up to the memory of your favorite cake! 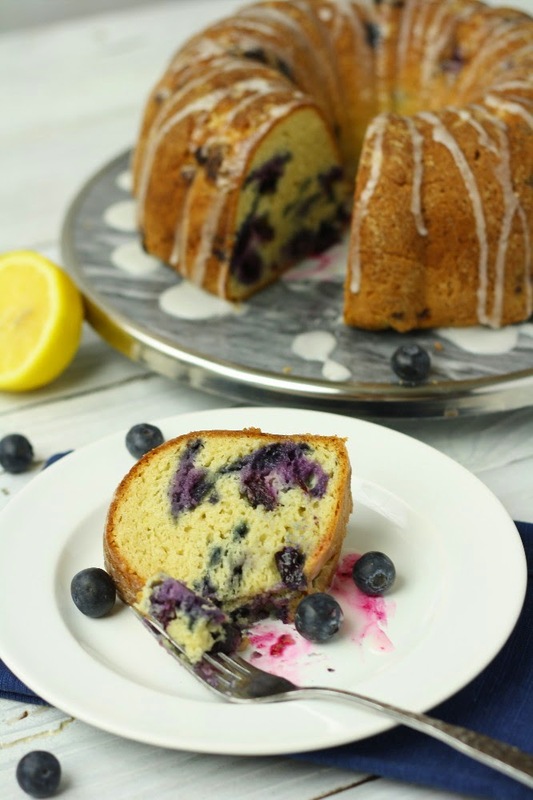 The slight lemon flavor makes this cake refreshing even on a hot day. I usually don’t comment on a recipe I haven’t made, but this looks SO GOOD!!! Have to make this!! oh yum!!! I made this today and we loved it! So moist. I am freezing some for camping… better than s’mores! Thank you! Janis – We hope you make it, it is quite yummy! Bonnie – Yeah! We are glad you enjoyed it. What a good idea to take it camping. Over Memorial Weekend when we were camping we brought mini-loafs of banana bread, a great and filling breakfast without making a fire! What substitute did you use? erinbeth – Thanks for letting us know that the modifications worked so well! I just made this and it is amazing! So moist and flavorful! I was a little worried that I had mismeasured something because the cake batter seemed too dry and had to be “molded” into my bundt pan but it turned out great. Will definitely be a keeper. Thank you!